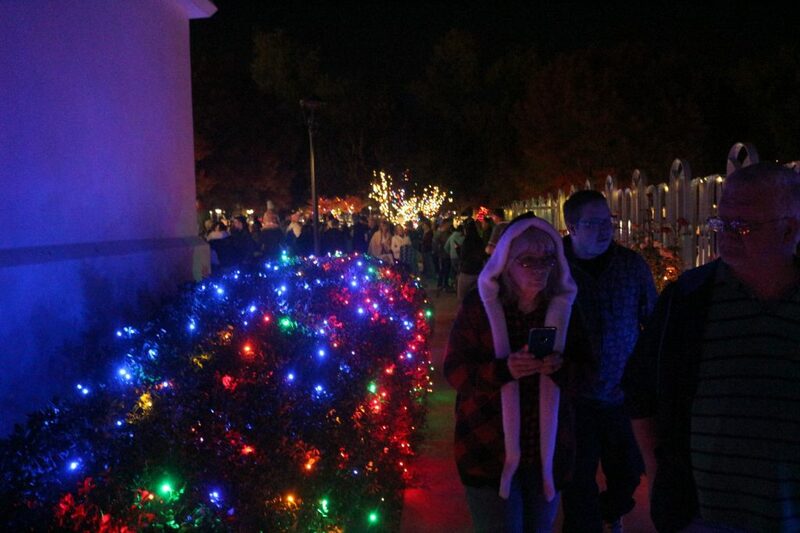 ST. GEORGE – Hundreds of people packed the grounds on the east side of the St. George Temple of The Church of Jesus Christ of Latter-day Saints Friday evening for the annual Christmas lighting ceremony. 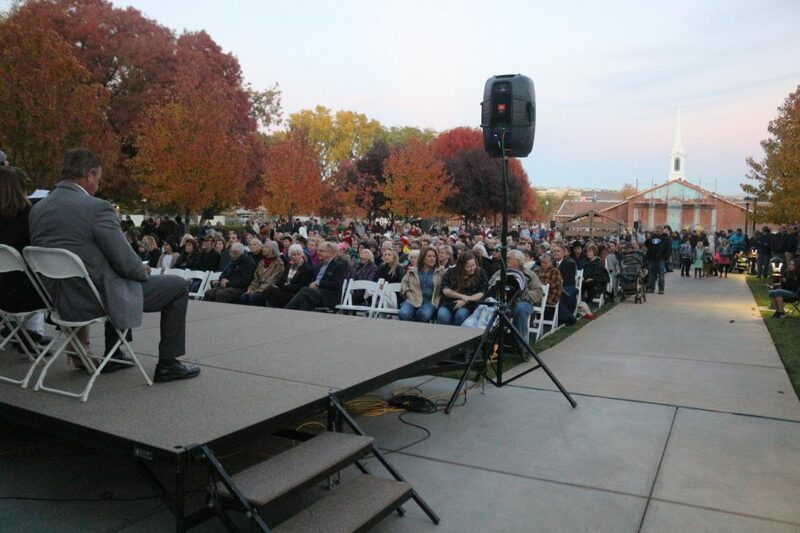 “The hope of the church is to light the world,” Smith said, adding that it is also the name of a campaign the church launched three years ago that centers on Christ and “lighting the world” through service to others. 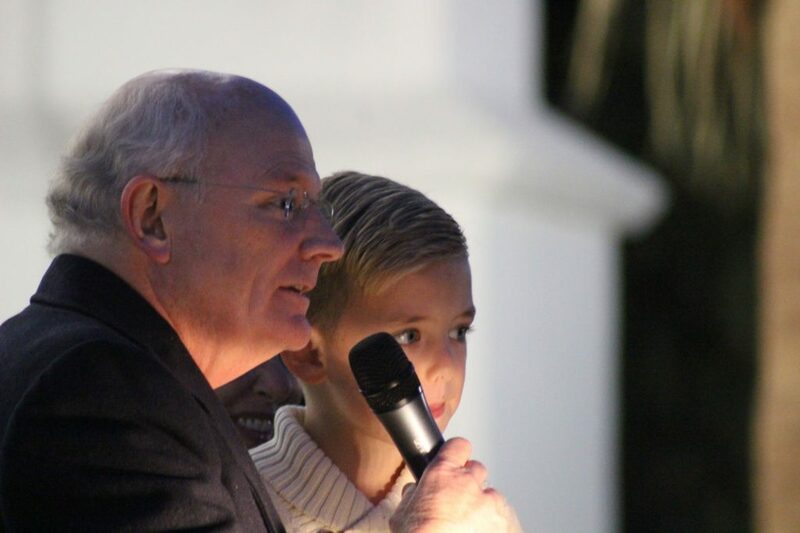 This year the campaign’s theme is “Give as he gave,” referring to Christ, Smith said. 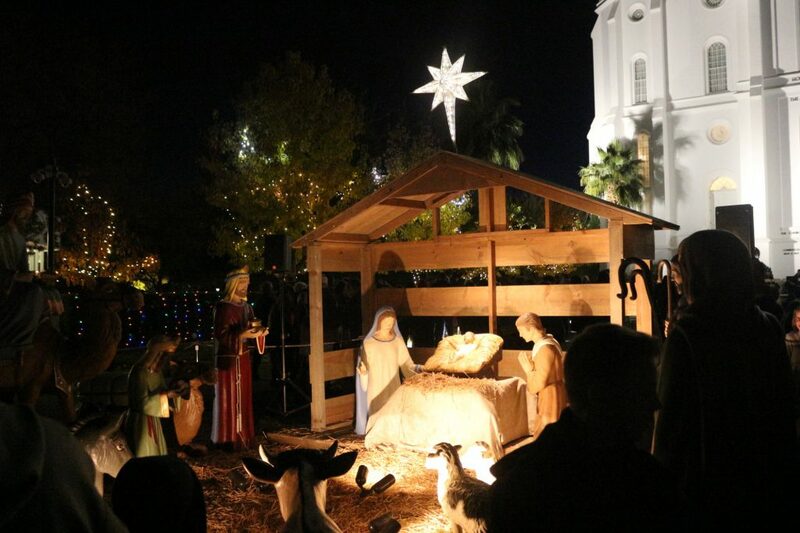 “We’re each encouraged to light the world at Christmas time,” he said, and pointed the audience to the church’s website where they would learn more about the Light the World service campaign for more details. 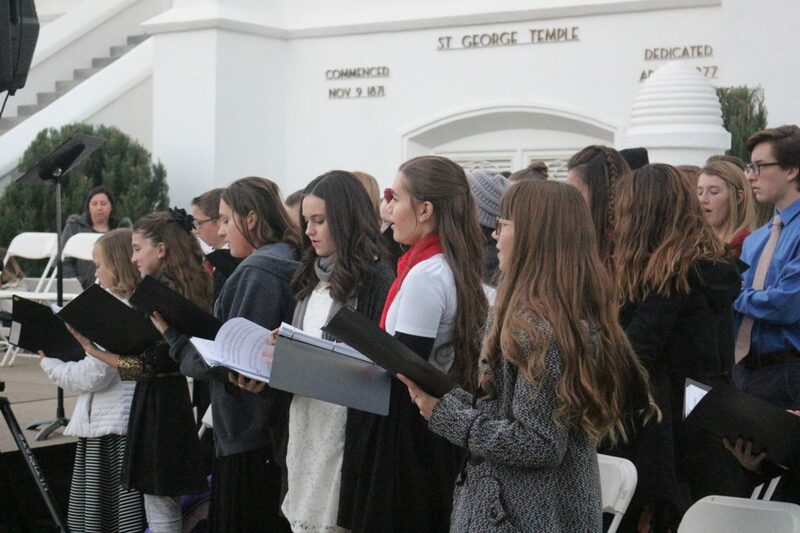 Following Smith’s comments and a rendition of “Silent Night” sung by the choir and audience, the lights lit up much of the temple grounds, and Christmas music began to play in the background. 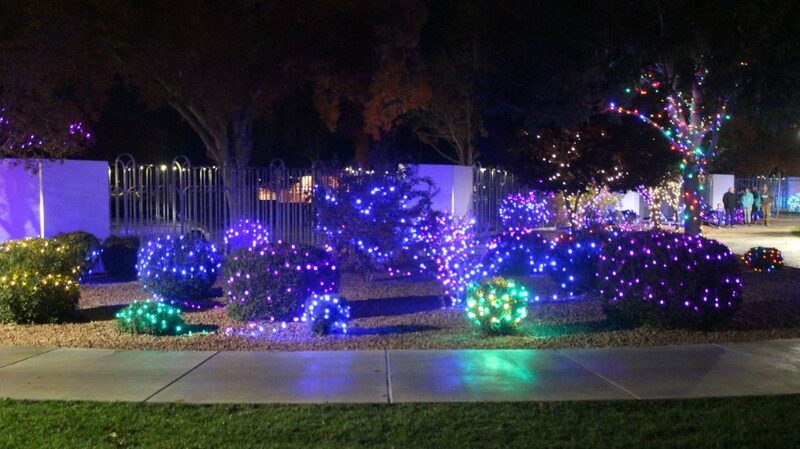 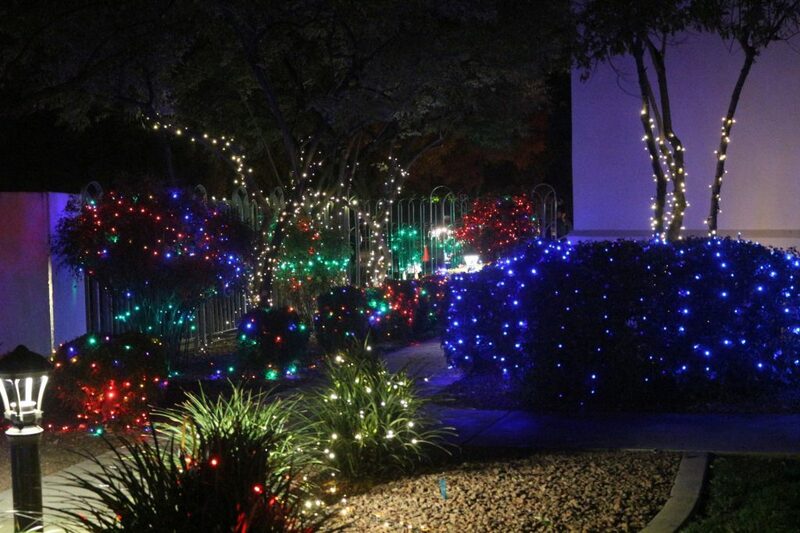 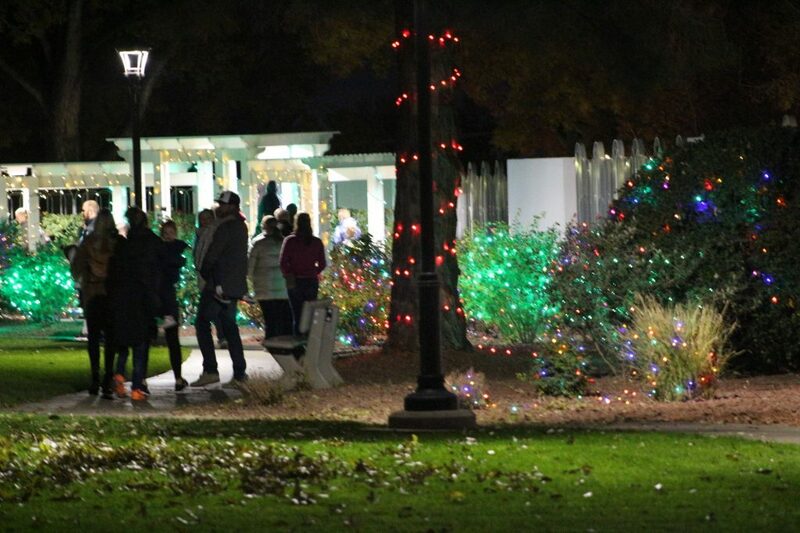 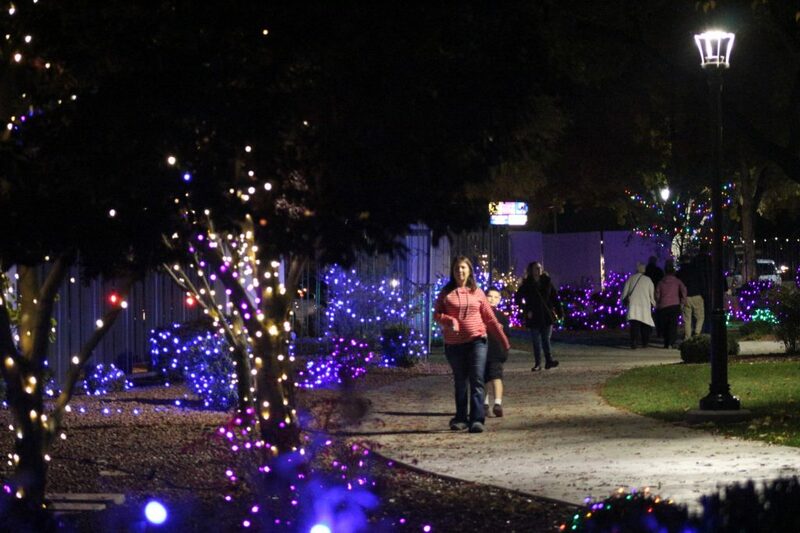 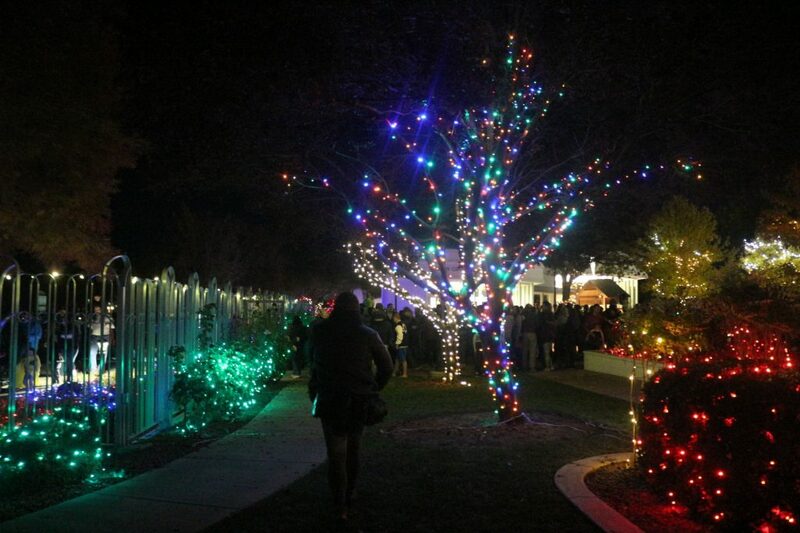 “We just wanted to see the beautiful lights and share it with my kids,” St. George resident Kayla Boyer said. 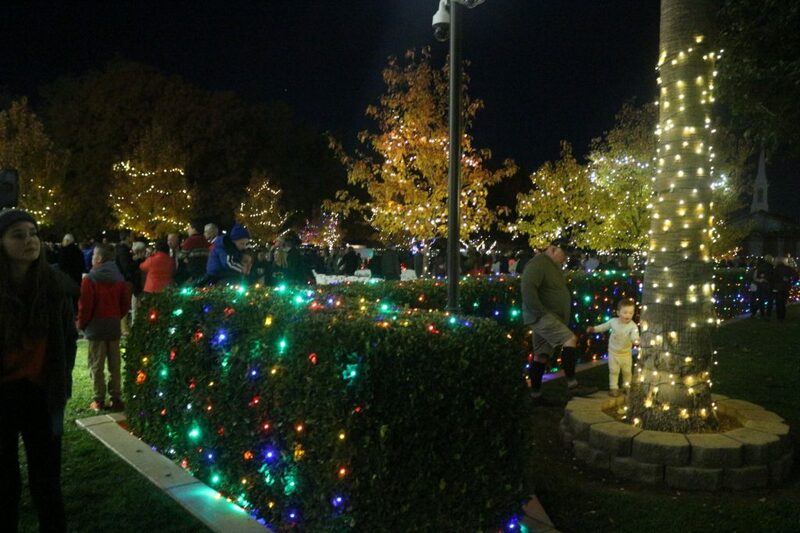 While holding one child, Boyer said it was her children’s first time seeing the lighting ceremony. 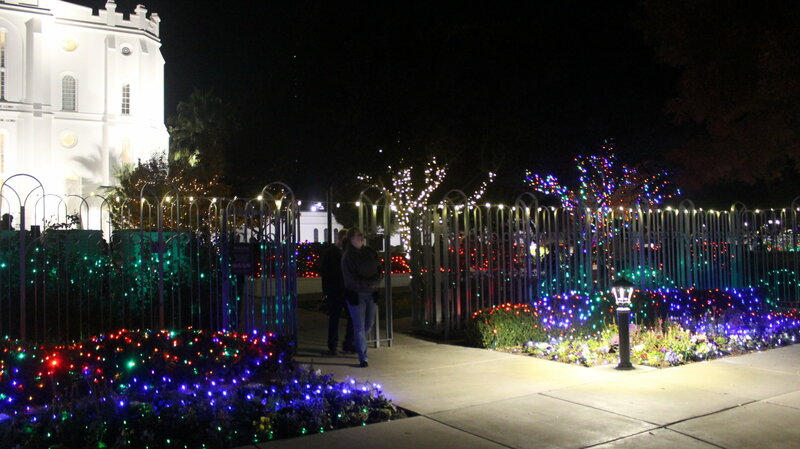 “It was wonderful and so special,” she said. 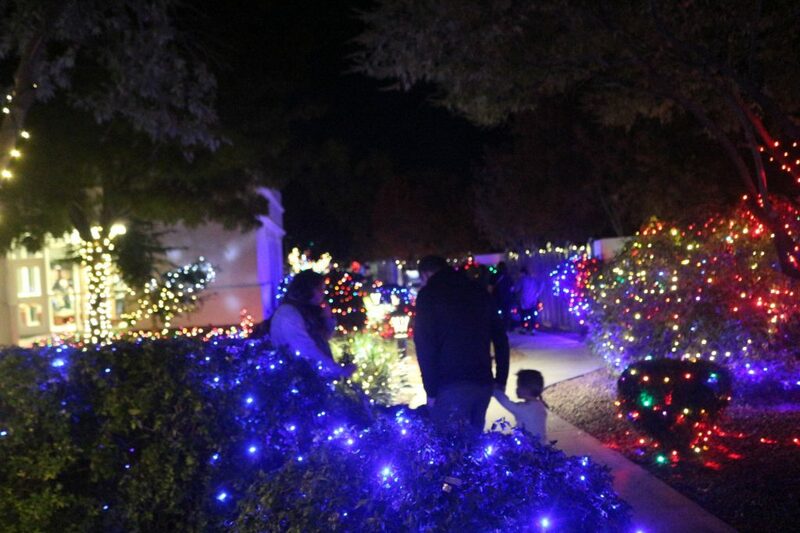 Jennifer McCash, visiting from Albuquerque, New Mexico, also enjoyed the event as it provided an opportunity to spend time with family. 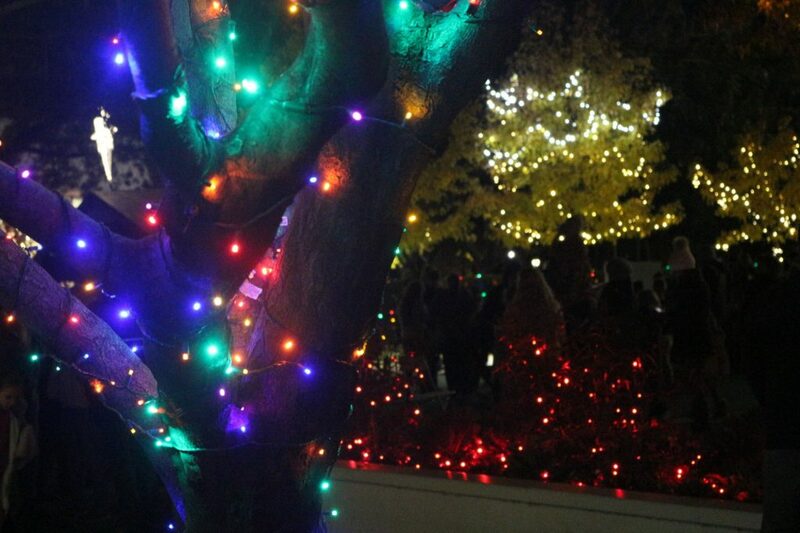 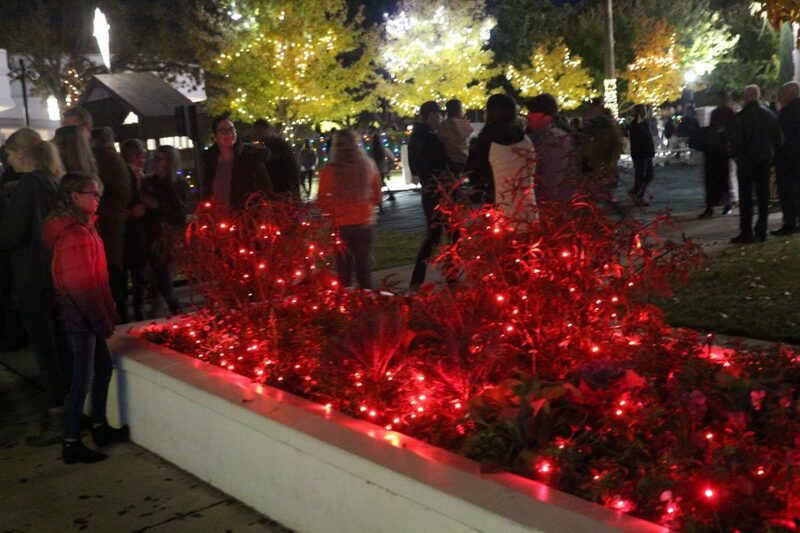 Salt Lake City resident Brian Powell said St. George didn’t quite compare to the Christmas lighting at Temple Square back home, but he’s happy to see St. George do something similar.